When it comes to day-to-day beauty, I like to keep things simple. Minutes saved at the beauty table are minutes I can use either a. in bed, or b. grabbing a coffee, and those are some precious moments. 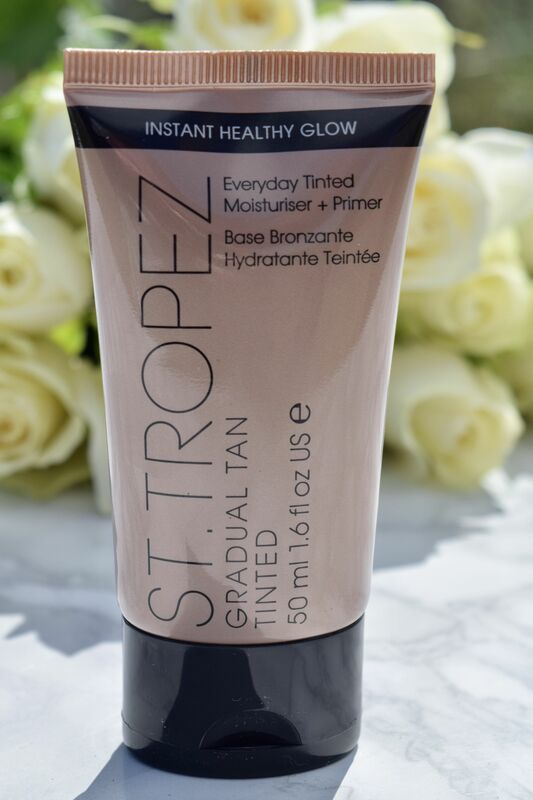 If my day doesn’t have any meetings planned it in, my makeup is usually super subtle – I’m not one to rock a full face of makeup when I don’t need to, so products like St Tropez’ Tinted Moisturiser and Primer are an absolute godsend. Applied to moisturised skin, the product applies like a tinted moisturiser, evening skin tone and giving it a subtle glow. It’s light enough to use underneath makeup, so if you’re more of a full-coverage girl, you can adda layer of foundation on top. With continued use, the product builds up to give skin a beautiful, seriously natural-looking tan, which means I get to wear even less makeup! It’s perfect for lazy summer days, and a must-have if you’re off on holiday!